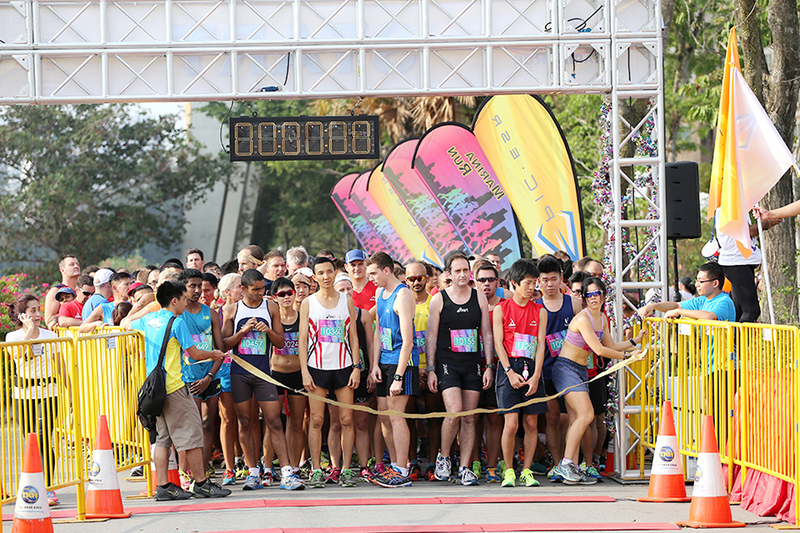 Marina Run 2014: Light Up The Night And Have Fun! Many races took place last weekend, and what set Marina Run apart from the rest? It was the first half-marathon and night run of 2014! There is something special about running at night, especially when it is complemented with the scenic Marina Bay riverfront and quaint waterfront communities. 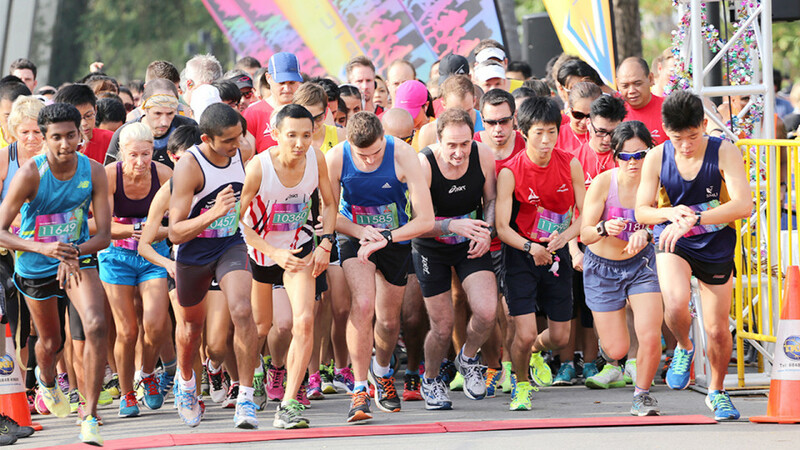 With the various 5km, 10km and 21km routes, there were categories that appealed to runners from all age groups. 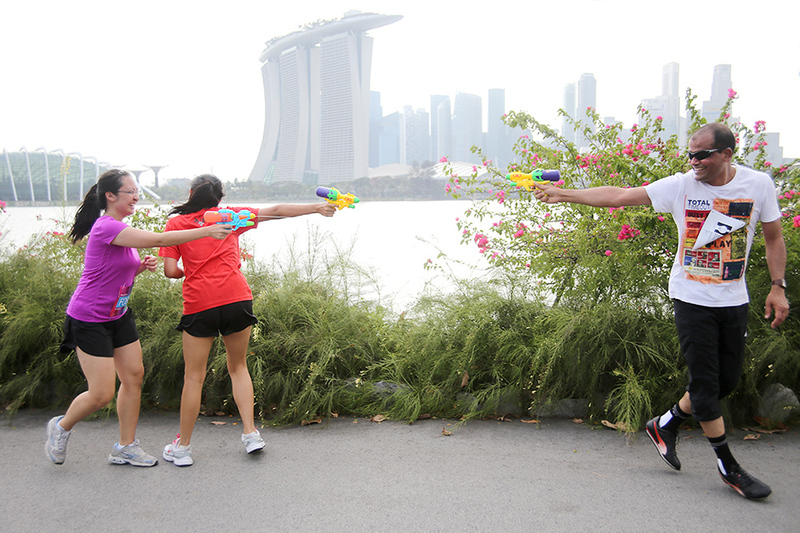 This year, 5km runners were given water pistols to be “wet & wild”, and set off at 4.30pm. 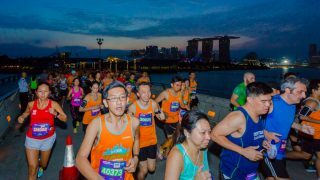 10km & 21km runners were encouraged to decorate their running costumes to “light up the night”, and set off at 5.30pm and 7.30pm respectively. Running should always be fun – you run hard and play hard! 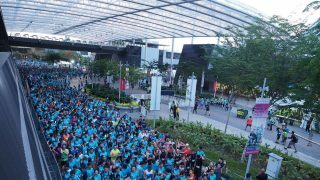 6,000 runners lined up at the starting line and were all eager to light up the night with their red tees and colourful light sticks. 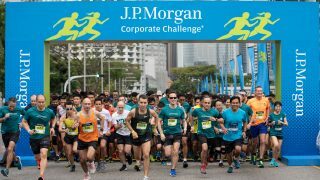 The 10km route was a journey looping around the Marina Barrage and Tanjong Rhu area, while the 21km distance looped twice. 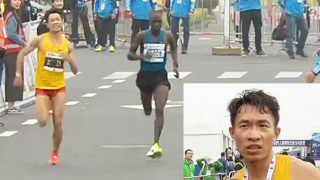 The relatively flat terrain helped runners to aim for their personal best timings. There were different starting timings for the various categories. As a result, there were minimal bottlenecks on the narrow lanes. The DJs and crew did a great job in spicing up the night to cheer the runners on and not to give up until the finishing line. However, there were quite a few aspects that the organisers could improve further for next year’s race. The insufficient navigational signage and distance markers posed a huge challenge for the runners, especially when some portions of the routes were dark and poorly-lit with uneven flooring. 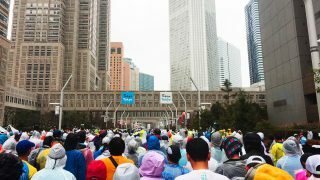 Despite that, the volunteers did a great job to lead the runners to the right route and tried their best to ensure the safety of the runners. At several water points, there were insufficient water and isotonic drinks for the runners to quench their thirst. 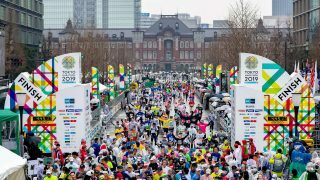 There were also hiccups during the race collection process with the unexpected long queues that runners have faced. Overall, it was a great Saturday night spent with thousands of runners having fun and also, running hard enough to burn off the calories from the New Year feasting! Scenic running route along Marina Bay. "Wet & Wild" and "Light Up The Night" themes provided an interesting twist. Enthusiastic DJs and volunteers did their best to cheer on the runners. Some portions of the route were dark and poorly-lit. Unexpected long queues for race collection packs. Several water points had insufficient water and isotonic drinks.